“HANNYA” – is a Japanese word you might have heard about. But what is it? A demon? A mystical creature, evil and sinister? Is it a man, a woman, or something else altogether? “HANNYA” is an ancient Sanskrit word, meaning „wisdom“ and „virtue“, a path leading to enlightenment. It can be a delicious Oriental scent, but it is best known as a mask used in the traditional Japanese Noh theatre. This mask called Hannya stares fixedly at the spectator with fully opened eyes, the mouth agape as if about to bite and devour. Its horns are glistening on the crown of her head, threatening to strike in angry passion. 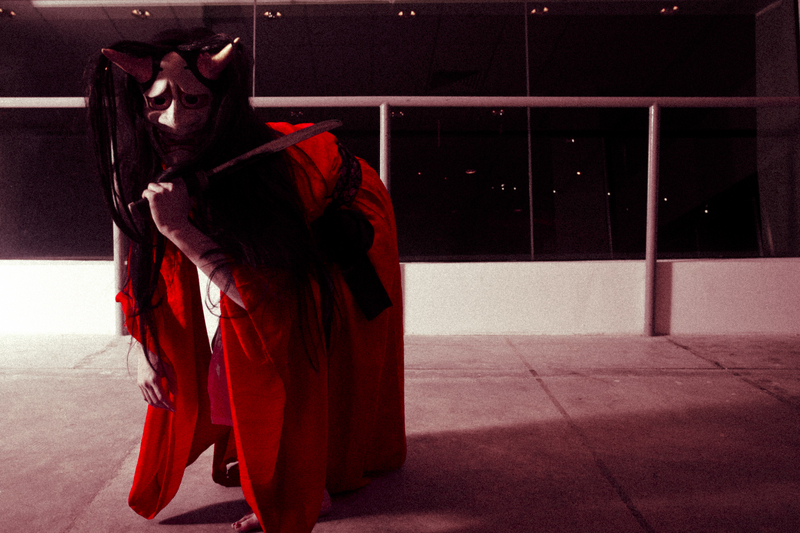 Hannya once was a woman, almost destroyed by rage and jealousy; some of the most powerful emotions a human being is capable of; emotions that have the power to turn a woman into a demon, from innocent schoolgirl to sword-wielding fury! But there is one more thing left inside of her, one more emotion, almost invisible, but mighty nonetheless. Will you be able to discover it? Now, Sana Sakura will tell the story of Hannya, bringing to life her most hidden emotions, captivating the audience with her thrilling expression. Enjoy the magic world of Japanese culture and arts on the stage! A sensational show of Sana Sakura!